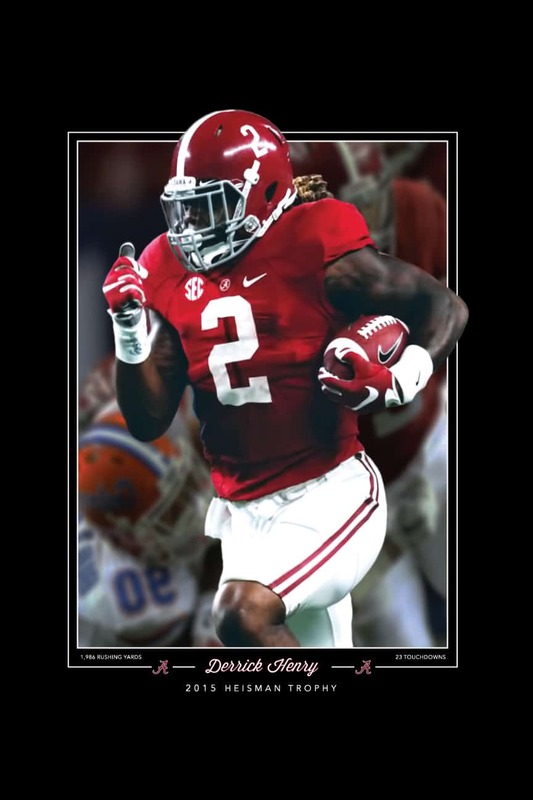 New incredible print by artist John Kline entitled “Derrick Henry 2015 Heisman Trophy”. 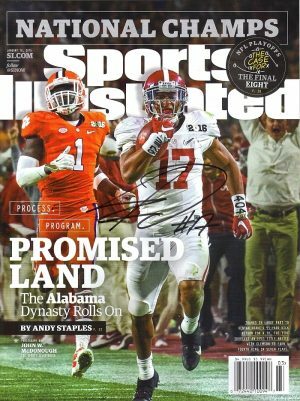 This is a powerful, iconic image of the Alabama Crimson Tide 2015 Heisman Winner. The print also includes Henry’s rushing and touchdown stats. This substantial print is 11″x17″. However, the print can be trimmed to 11×14 and will fit perfectly in a store bought frame. These are going fast, so get yours before they’re gone. This print is also available framed and framed with a coin.